If you know much about Swimmer One, you’ll have heard of our long-time friend and collaborator Daniel Warren, who has designed all Swimmer One (and Seafieldroad) artwork, as well as directing numerous films to accompany our songs – from We Just Make Music For Ourselves to Ghosts in the Hotel. He also worked with us on Whatever Gets You Through The Night. Daniel’s latest project is film forming part of a major new exhibition and commission by the Scottish National Portrait Gallery, called The Nation / Live. 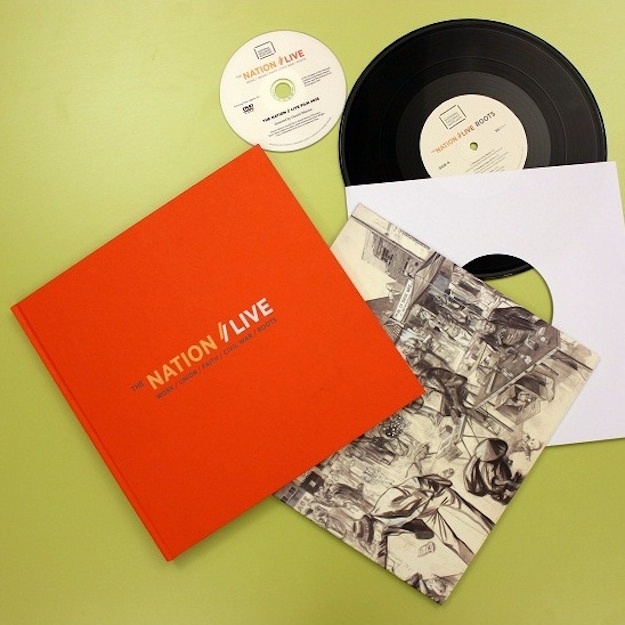 The exhibition is accompanied by a hardback book, a DVD of the film and a beautiful 10-inch vinyl record of songs and sounds curated by Wounded Knee (aka singer/song archivist/experimentalist Drew Wright) – featuring some recording and mixing work by Hamish Brown of Swimmer One and contributions from Polish choir Davno, beatboxer Bigg Taj and members of Sparrow and the Workshop. Find out more (and buy it if you like). THE NATION // LIVE – PROJECT TRAILER from danielwarren.tv on Vimeo. This entry was posted in News on 10/10/2013 by Andrew Eaton-Lewis. We’re thrilled to announce that Whatever Gets You Through The Night, the live show Swimmer One made last year with Cora Bissett, David Greig and lots of other talented people, will be at the Queen’s Hall, Edinburgh, 20-25 August, as part of the 2013 Edinburgh Festival Fringe. 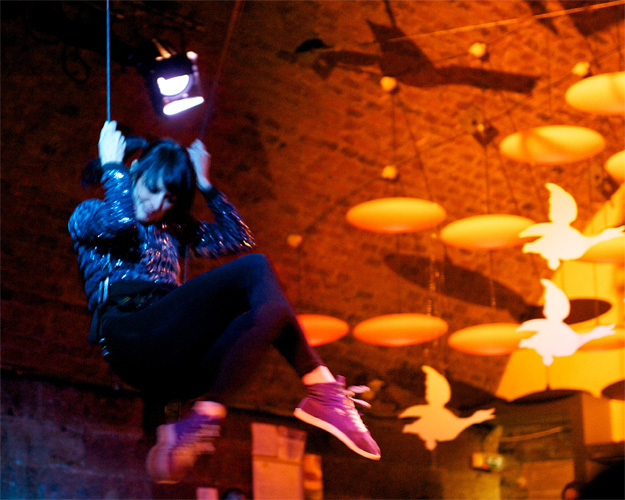 If you missed it during its sell-out run at the Arches in Glasgow, now’s your chance. Whatever Gets You Through The Night is a collection of night-time stories, told in numerous different ways by over two dozen Scottish musicians and writers, from Alan Bissett, Alan Spence and Annie Griffin to Eugene Kelly, Ricky Ross and Errors. Playing live in the show this time will be Withered Hand, Rachel Sermanni, Emma Pollock, Bigg Taj, Wounded Knee and other special guests tbc. Swimmer One will be acting as house band as well as playing some of our own songs. Listen to album accompanying the show and buy it in book/download form. If this is all news to you, the Skinny’s feature about the show is a good place to start. Whatever Gets You Through The Night: Edinburgh Fringe 2013 (Trailer 3) from The Arches on Vimeo. This entry was posted in News on 04/06/2013 by Andrew Eaton-Lewis.